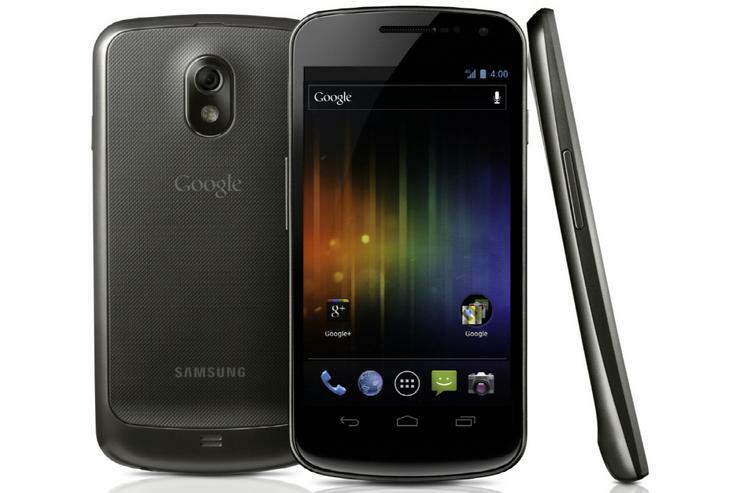 Google and Samsung revealed the Galaxy Nexus will be available in "November" but specific Australian pricing and availability was not announced. Going off previous deals, the Galaxy Nexus is likely to be sold by at least one Australian carrier — Vodafone exclusively sold both the Nexus One and the Nexus S in Australia, albeit for a short period of time. However, there has been no confirmation that the Galaxy Nexus will be officially sold by an Australian carrier at all, even if this is pretty likely. Rather than wait for a carrier to release the Galaxy Nexus, it's possible to get one earlier in Australia if you buy outright. This is made possible by what is called grey importing, also called parallel importing. A grey import tech product is one that is imported from another country without the permission of the intellectual property owner, in this case Samsung and Google. This can be achieved by an Australian business that buys the product overseas and then sells it online, or simply an International business that will ship the product to Australia. Is a grey import Galaxy Nexus different to the Australian model? As it's a "Pure Google" phone, the differences between an Australian model (if it emerges) and an imported model will be minimal, if there are any at all. The main difference is likely to be carrier branding, often in the form of a telco logo when you turn the phone on and some shortcuts to telco services in the app drawer. In other words, you won't be missing much at all if you import the Galaxy Nexus. How many models of the Galaxy Nexus are there? There are officially two models of the Galaxy Nexus around the world: a HSDPA+ model and an LTE-capable model, both coming in 16GB and 32GB sizes. The HSDPA+ model is the one you want to use in Australia — it will work on all Australian networks including Telstra's 850MHz Next G network and the 900MHz and 2100MHz networks used by Optus and Vodafone. The LTE version of the Galaxy Nexus is likely to operate on the 700MHz band used by US carrier Verizon Wireless, meaning it probably won't work on Telstra's 1800MHZ 4G LTE network. Details on the LTE version are sparse: Samsung says an LTE version will be available "depending on the region". Keep in mind that the Galaxy Nexus does not have a microSD card slot, so there is no way to expand the memory. Take this into account before you decide to purchase the 16GB model. We recommend the 32GB model if you're undecided, though this model appears harder to find than the 16GB one. Where can I purchase the Galaxy Nexus? You can order the Galaxy Nexus online from a variety of Web sites including both Australian and International ones. The Galaxy Nexus is likely to eventually be sold through a number of Australian stores, but one of the more reputable is MobiCity. It currently lists the 16GB version of the Galaxy Nexus for $829 and has it available for pre-order now. It is expected to ship on Monday 7 November, so you should receive it a few days later. MobiCity has just the 16GB model at this stage, although will take on the 32GB version if and when it becomes available. MobiCity is slightly pricier than other alternatives, but it does offer a 12 month Australian warranty. This is not a Samsung or Google warranty, but is serviced by a company called Australian Warranty Services. The basic warranty that comes with any MobiCity purchase includes replacement within the first 48 hours if the product is dead on arrival (DOA), an assessment guarantee within 48 hours of receipt and a repair guarantee within 30 days. MobiCity also says that a replacement device will be offered if it is unable to repair the Galaxy Nexus within the guaranteed timeframe. Kogan also sells the Galaxy Nexus. It lists the 16GB model for $799 plus delivery. Curiously, the dispatch date is marked Sunday 30 November, but Kogan says "it will very likely be a number of weeks before this." Other Australian online stores that sell imported smartphones like Millenius, dMavo and Techrific don't currently list the Galaxy Nexus but are likely to sell it in the near future. Australian sites aside, there are also a number of international sites who will ship the Galaxy Nexus. Two of the most popular are the UK pair Handtek and Clove. Handtek lists both the 16GB and 32GB models of the Galaxy Nexus, but only provides a price for the former. You can order it for £419.99 plus £26.90 for shipping down under totalling £448.89 — around $687 Australian dollars at the time of writing. Clove only lists the 16GB model of the Galaxy Nexus. Interestingly, it says that the 32GB model won't be released in the UK. Whether this will be the same story in Australia is unknown. You can buy the Galaxy Nexus from clove for £429 plus £24 for shipping which totals £453 — around $692 Australian dollars at the time of writing. Other legitimate sites that will ship the Galaxy Nexus to Australia are SG Best and Unlocked Mobiles. Found a site that will ship the Galaxy Nexus to Australia? Let us know in the comments below!